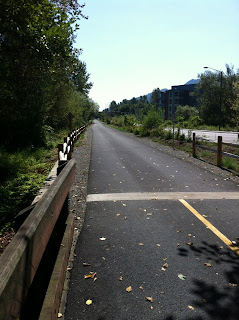 Update Aug 2013 - Issaquah Segment of the trail is now open again. Here is why the East Lake Sammamish Trail is now closed, seems odd even small sections are closed on the weekends when no work is being done. Upgrades are coming to King County’s East Lake Sammamish Trail (ELST) through Issaquah, including removing the existing gravel trail and constructing a 12-foot-wide asphalt trail with gravel shoulders, installing concrete sidewalk connections, retaining walls, fencing and signage, plus wetland mitigation planting and landscaping. 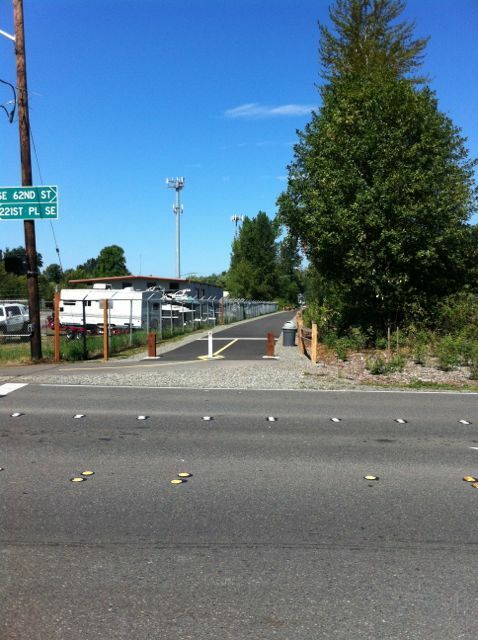 A 2.2-mile-long stretch of the trail from Northwest Gilman Boulevard to Southeast 43rd Way will be closed to all users during construction, which could take up to one year. The closure is expected to begin May 14. The extensive scope of work in the trail’s narrow corridor requires complete closure of the trail. Trail users are advised to find alternate routes around the closed portion. Nearby East Lake Sammamish Parkway features both bike lanes and sidewalks for ELST users who want to travel along the eastern shoreline of the lake and around the closed stretch of trail. Those who simply want to get out on a trail are encouraged to visit other portions of King County’s 175-mile regional trails system during construction. The upgrades will make the trail accessible to a wider range of users, including bicyclists with narrow tires, inline skaters and others. Upgraded intersection and street crossing treatments will also be installed. The estimated cost of completing the Issaquah segment is $2.74 million, with funding provided by the 2008-2013 voter-approved King County Open Space and Trails Levy, the federal Congestion Mitigation and Air Quality Program, and the Washington Wildlife and Recreation Program. This project is the second segment of the ELST to be converted from the interim soft-surface trail to the finished master-planned trail. The Redmond segment was completed November 2011, while design of the North Sammamish Segment began December 2011 and construction is expected to begin in 2013. 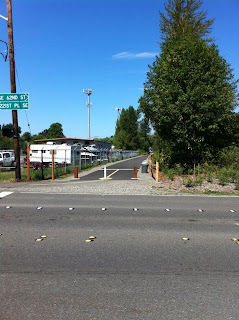 King County purchased the 11-mile-long East Lake Sammamish rail banked corridor in 1998. An interim soft-surface trail was completed in 2006. The ELST follows an historic railroad route along the eastern shore of Lake Sammamish within the cities of Redmond, Sammamish and Issaquah. Part of the “Locks to Lakes Corridor,” the trail follows an off-road corridor along the lake and through lakeside communities. Once the ELST is fully developed, it will be part of a 44-mile-long regional urban trail corridor from Seattle’s Ballard neighborhood to Issaquah. More information is available at www.kingcounty.gov/eastlakesammamishtrail.